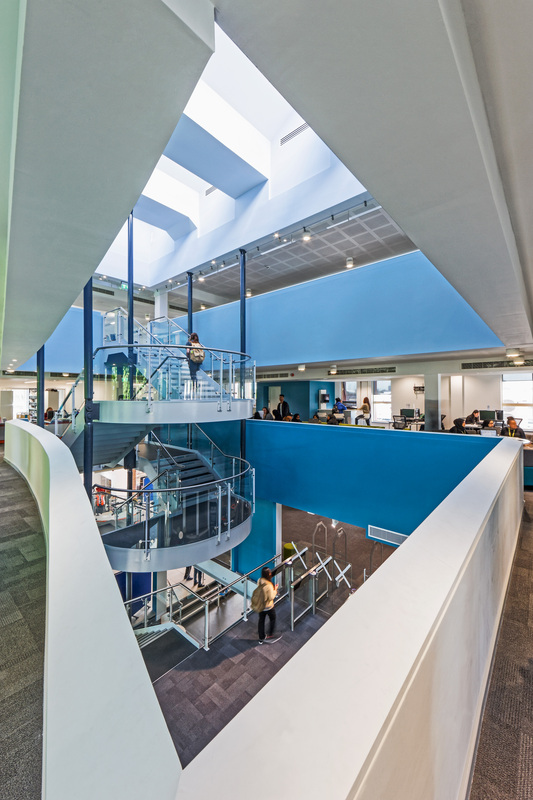 We were delighted to officially open our new building on 30th June in the company of our guests of honour: Greater London Assembly member for City and East London Councillor Unmesh Desai and Fred Jarvis as well as a number of governors, friends, partners, colleagues and NewVIc alumni. We were particularly pleased that so many Newham councillors were able to join us for the occasion. It was 25 years ago that the London Borough of Newham made the bold and wise decision to establish a sixth form college in order to increase the participation, achievement and progression of 16-18 year olds in the area which were far too low at the time. The college was an immediate success; enrolling more students and achieving better results and progression than expected and it has grown and thrived ever since. The council’s decision to create the college was absolutely the right one. 25 years later, the college continues to educate around 25% of all Newham’s 16-18 year olds and sends 700-800 students per year to university. Tens of thousands of our former students / alumni live and work locally – most of them graduates now and contributing to the local economy in so many ways. At the ceremony, we were entertained by former NewVIc student and singer-songwriter Lauren Dhamu who has just launched her first album on the E3 label, who sang ‘Didn’t you know’ by Erika Badu and ‘LKD Soke Remix’ accompanied by Femi Akinyemi and John Crockford. Lauren is the latest in a long line of NewVIc alumni who have made careers for themselves in the performing arts while keeping up their connection with the college and supporting other emerging artists. 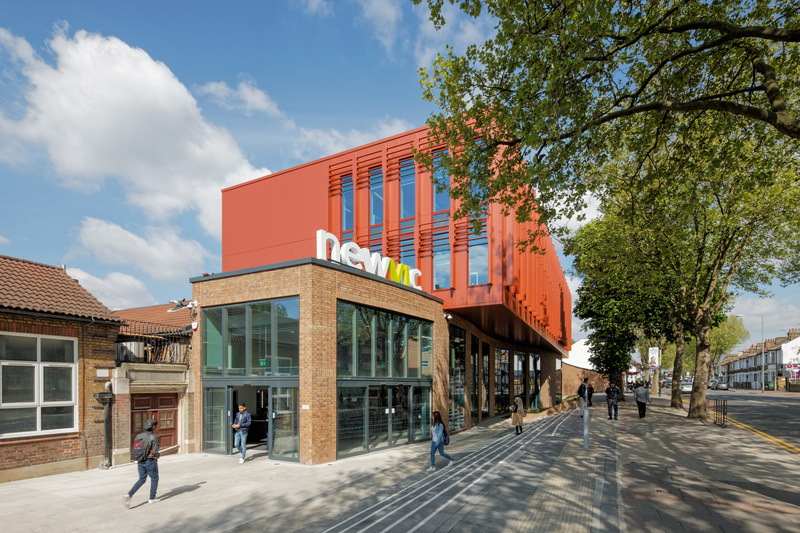 NewVIc’s campus was created around the former Cumberland school which itself occupied the site of the former Plaistow secondary and Plaistow Grammar school – with some additional purpose-built buildings. The campus has grown since 1992 with new accommodation being added periodically – although most of it has been temporary. It was wonderful to hear from our good friend Fred Jarvis; a lifelong champion of comprehensive education and the only person to have led both the National Union of Students and the National Union of Teachers and chaired the TUC. Fred attended Plaistow secondary school in the 1930’s and 40’s going back to the very earliest days of this campus. Fred has written about his time in Plaistow in his book ‘You never know your luck – reflections of a cockney campaigner for education’ Like the great actor Terence Stamp, who attended the school post-war, Fred is an honorary NewVIc alumnus. On an occasion like this it’s slightly embarrassing to recall that for a number of years, we had actually planned to move the college to Stratford – based on the Olympic effect and allegedly better ‘travel to learn’. Looking back, we are delighted that instead we decided to build on our past and develop our current campus. The centre of London is certainly moving East but it looks like E13 is going to share the benefits as much as E15 or E20. We developed a campus Masterplan which mapped out the complete renewal of our accommodation at Prince Regent Lane over a number of independent phases. What did we want most urgently for Phase 1? Our priorities were: a new entrance with a new relationship with the street, more open and transparent social spaces, a new theatre and a much larger university-style library. We want to thank our visionary architect: Charles Dokk Olsen from Shepheard Epstein Hunter (SEH), our project manager Grant Charman from CPB and our builders InterServe Construction for creating a beautiful, generous, light and functional space for young people to learn, socialise and circulate. They all worked closely with us throughout the design and construction process and many of the ideas have come through the involvement of staff and students. This building is already a source of real pride for the whole college community. There’s more about the design and the process here. It’s worth saying that we have paid for this building entirely ourselves; with no capital grants or donations from anyone else. Our reserves and borrowings are clearly public money and this shows what can be done by judicious and visionary public investment in public services. We hope that the government will come around to the view that investing in education infrastructure is important otherwise it will be some time before we see a Phase 2 built on this campus. A new school or college building is an expression of confidence in the future and in young people in particular. We’ve seen a lot spent on regeneration in Newham and our borough has been transformed in many positive ways. The regeneration we’ve started here is a long-term investment in the transformation of a whole community; showing confidence in everyone’s potential and contribution. A library is a place of cultural preservation and transmission, of delight and discovery. It needs to be rich in information and communication technology but also full of books which can open so many windows and doors to us. Since we opened our new library we’ve already seen a doubling of the number of daily visits – a real measure of its success. A theatre is a place of cultural exchange and creation, of critical dialogue and debate as well as of sociability, celebration and escape. It’s a place to assemble to reflect together on life; it’s joys and challenges. This is what we’ve invested in. We live in difficult times and young people face many challenges and uncertainties. One of our slogans is: “New thinking for a new future”. If we’re going to solve the problems we face as a society we will need new ways of thinking and new ways of doing. Education is about transmission and renewal but it’s also about transformation and developing that new thinking which is so essential. Even at the worst of times, that means doing the best of things – taking responsibility for each other and for the next generation. So, our promise to our community is to continue trying to do the best of things based on the values we have always championed. NewVIc will continue to be an inclusive and comprehensive place of ambition and success, committed to renewing and building our community. The delicious snacks were provided by Roberta and her team from Mazi Mas, run by women from refugee and migrant backgrounds. Our guests were able to view an exhibition of beautiful photos taken by students of the site and some of the workers who helped build it. They were also able to see some of the amazing work on display in our annual Art show. 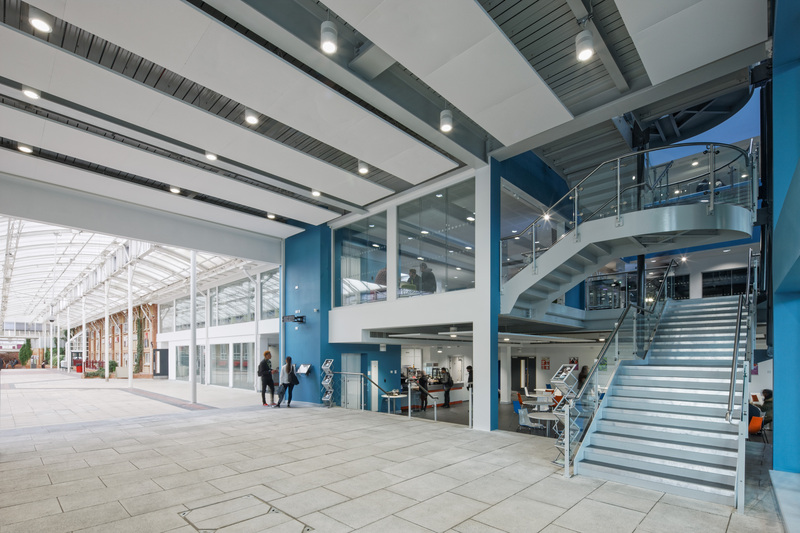 This entry was posted in Education, NewVIc and tagged Fred Jarvis, library, new building, Newham, Newham Sixth Form College, NewVIc, theatre, Unmesh Desai. Bookmark the permalink. The wonderful Carl Sagan…thanks Pardeep.